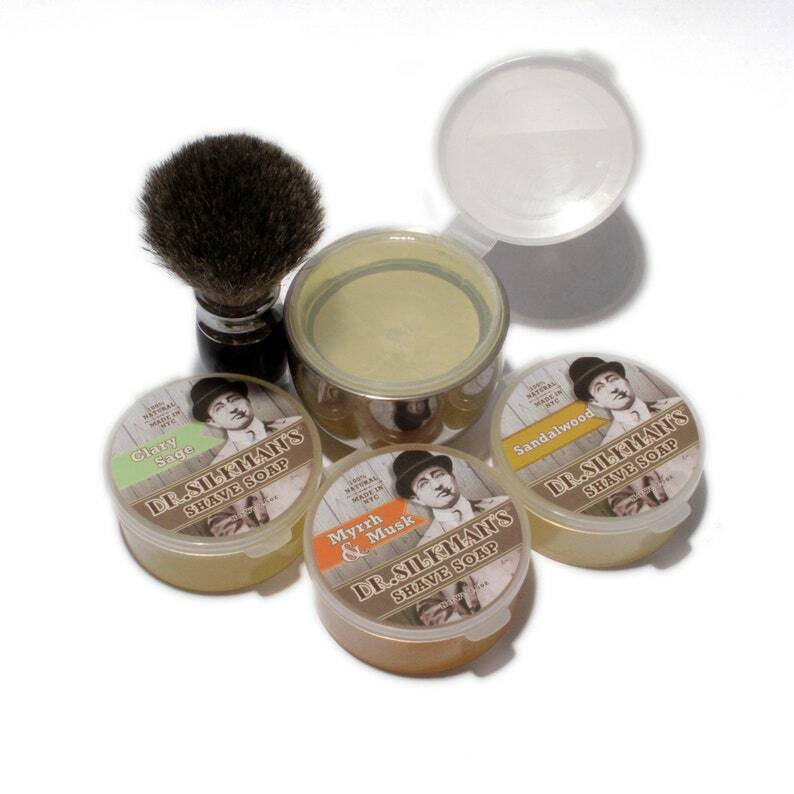 Our all natural shave soap comes in three scents and fragrance free, for sensitive skin types. These long lasting soaps work up a thick, frothy lather for optimal application with your favorite shave brush, or your finger tips. Our shave soap is free of any man made chemicals that dry and irritate the skin upon micro abrasion that can occur while shaving. 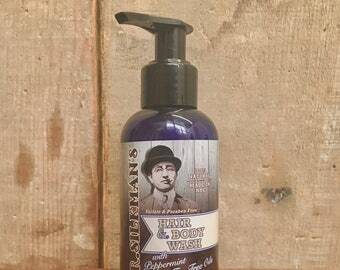 Great for the man's face or legs for the ladies. Myrr & Musk is a smooth aromatic blend of cedar wood, orange essential oils, clove and a hint of cinnamon. NetWt 2.5oz. Brushes and accessories not included. I first saw this shave soap at the Columbus Circle Holiday market and gave it a try, and just bought it again on Etsy. It has a good rich lather and a very pleasant aroma. I take it out of the plastic container it arrives in and put in my wooden soap bowl, that makes it easier to work up a lather. I've been wet shaving for about 5 years and have tried many soaps, this is a good one!